Ah Monday, the start of a new week and the end of your relaxation mode. Your weekend has ended, but that doesn't mean that you have to hate Monday. I know it may not be easy for some people to wake up cheery on a Monday morning, but when you wake up choose to have a positive attitude. Remind yourself that Monday is the chance to make a fresh start. I know for me, I think about God and the plans He has for me and my family. 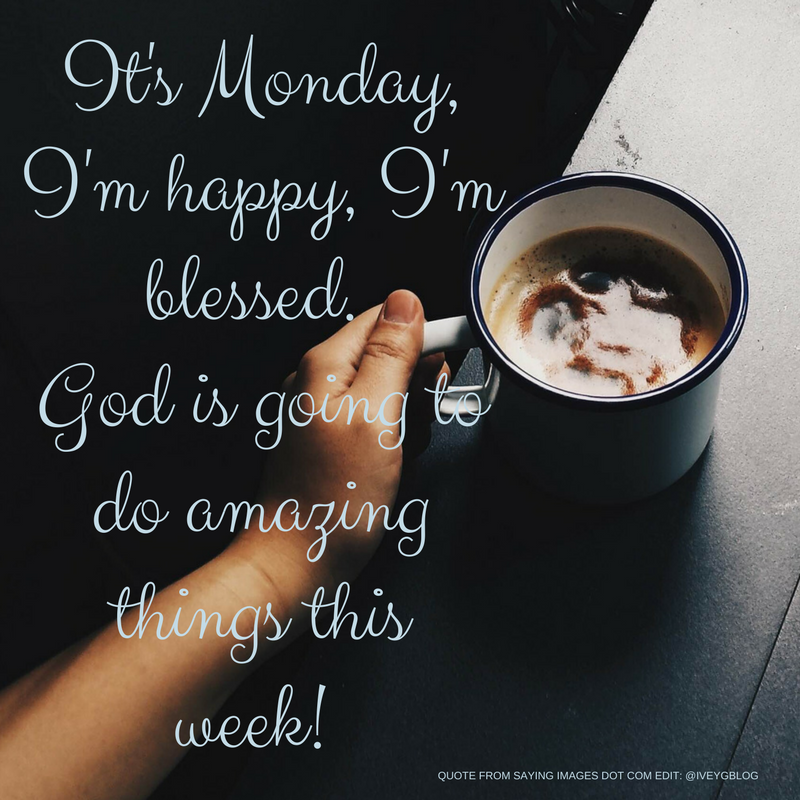 Just thinking about the new week ahead brings me joy because I know I've been given another chance to reach my goals, get closer to God and be a positive influence for my family. Oh, and I can't forget about the coffee. Yeah, coffee is essential for me every Monday. "Once you wake up and smell the coffee, it's hard to go back to sleep." I'm thinking about that hot cup of coffee right now, how about you? Remember to keep positive, stay happy, and keep the faith. I really hope that this week is filled with positivity, and a ton of opportunities!